It might look like the classic stereophonic sound system your old man had set up in the basement, but this stereo is all bark and no bite. In reality, it's just a stylish cabinet with a lovely set of boombox graphics applied to each door. 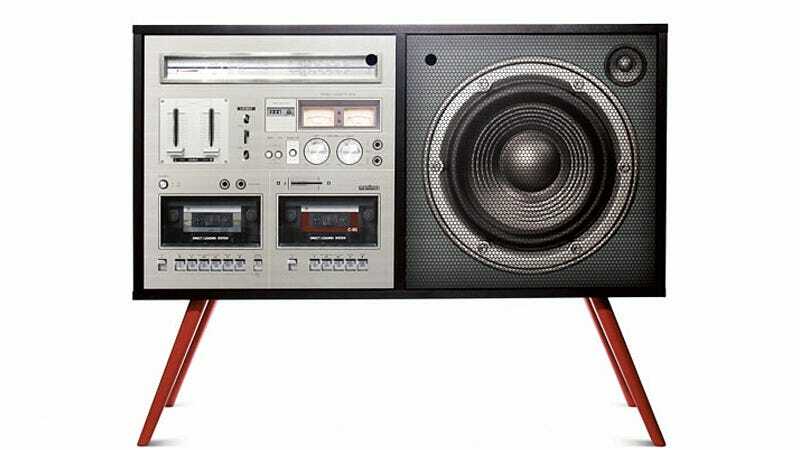 And even though it's made from MDF with a completely hollow core, the splayed red legs and realistic graphics are sure to have your retro-loving friends thinking they can bring over their old mixtapes to blast through its giant mono speaker. But imagine the disappointment on their faces when all they find inside is your collection of old iPods and MP3 players. Take that, nostalgia.